1 Million Cups Cherokee Launch was a huge hit! On a very rainy Wednesday, event goers gathered together for a fresh cup of coffee and an opportunity to support Cherokee entrepreneurs. 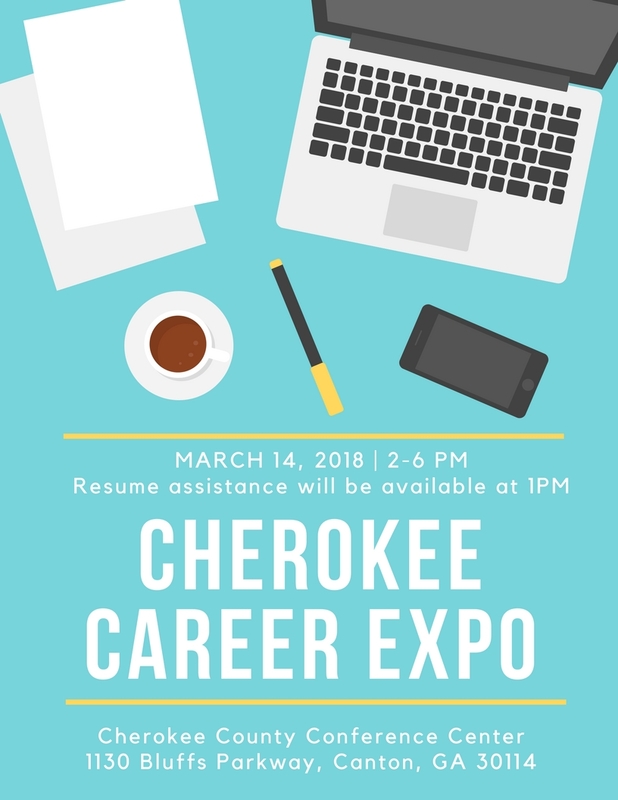 Register your business for the upcoming Cherokee County Career Expo. Deadline to register is March 8, 2018. Join the Cherokee Office of Economic Development Team! Join us for our 4th of July kickoff event on Saturday, July 1 Noon – 4pm! Woodstock, GA – The Circuit, Cherokee’s first coworking space, officially welcomed Blackairplane and Affordable College as the first members of the space as of mid-May. In addition to its new members, a formal process and program for membership has also been launched.